Professional rally driver who is best known for competing in the FIA World Rally Championship. He is known for racing with the team Mini WRC. He began his racing career as a Computer Aided Designer with M-Sport until he made his racing debut in the Peugeot Super 106 Cup in 2001. His first rally win was at the 2015 Rally Argentina. 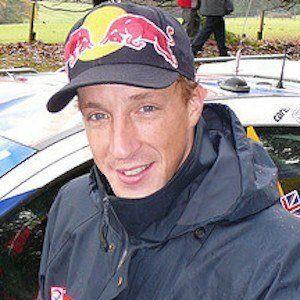 He is the son of rally engineer Sydney Meeke and was born and raised in Dungannon, Northern Ireland. In early 2002, he was taken under the wing of Colin McRae and trained for the British Junior Championship in a Ford Puma.